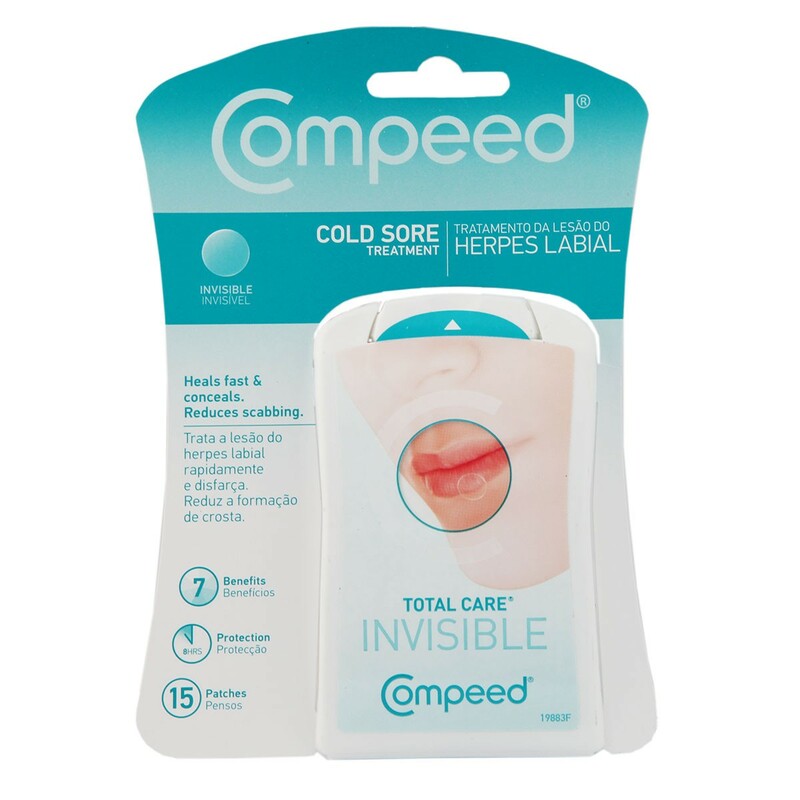 Compeed Cold Sore Patch is a breakthrough invisible patch to treat cold sores. Applied with a patent-pending no-touch design, butterfly applicator, the Compeed Cold Sore Patch reduces risk of cross contamination associated with touching the sore. Soothes burning and itching Promotes faster healing Discreet Helps prevent contamination and secondary infection. 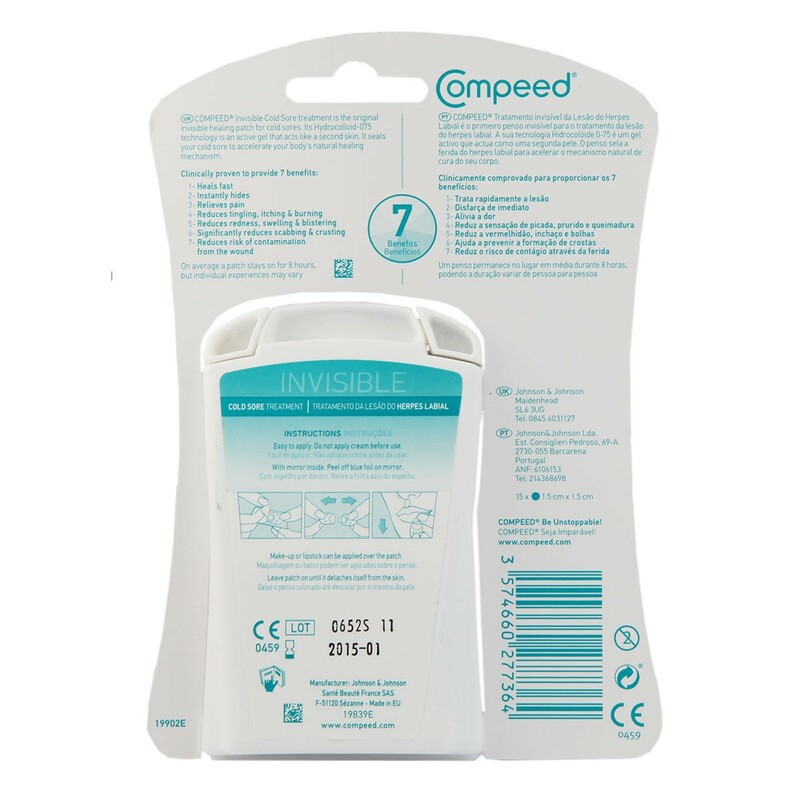 Compeed Cold Sore Patch uses a patent-pending ingredient ultra thin hydrocolloid-075 to treat cold sores. Thank you for your interest in Compeed Invisible Cold Sore Patch. Enter your email and we'll contact you as soon as it's available again.